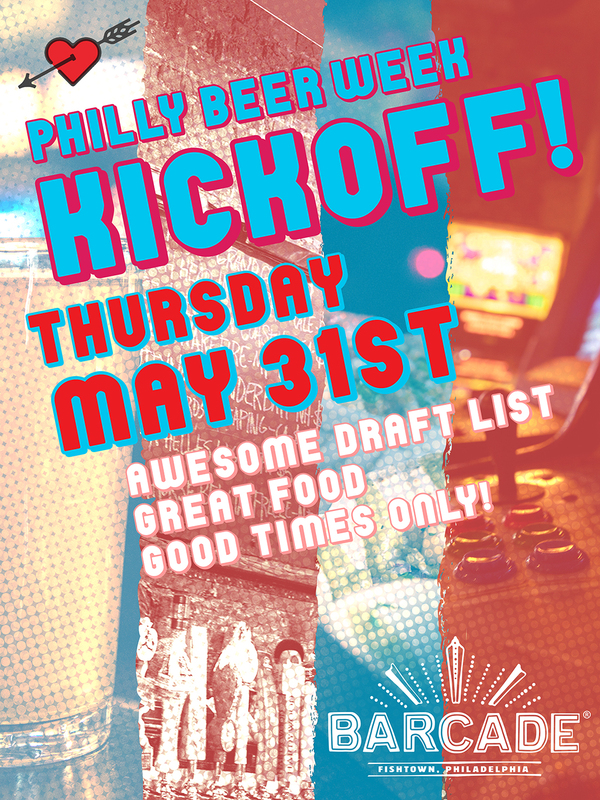 Please join us Thursday May 31st to kickoff Philly Beer Week with a killer draft list! Cape Ann Old Anteater – 11.0% – I DRINK THE ANTS! Epic Brainless Passion – 8.8% – Is there any other kind? Fat Head’s Spooky Tooth – 9.0% – It’s pumpkin season… again! Hardywood Mamaw’s Mean Cobbler – 8.2% – Belgian Tripel tastes like peach cobbler! Hoppin’ Frog Re-Pete 2X – 10.4% – Collaboration with Pete of Pete’s Wicked Ale. Remember the 90’s! When craft beer was craft beer, and any other beer was not! Victory Liberty Bell Ringer – 9.0% – Double IPA brewed especially for Philly Beer Week!